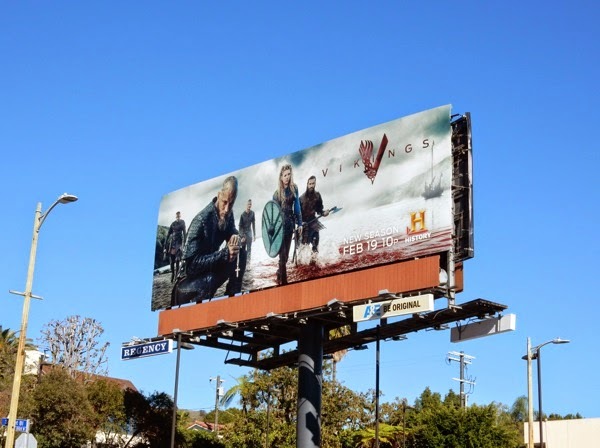 If you like your scripted dramas to be entertaining and historically accurate, then maybe you should check out History's Vikings, back for a third season of marauding and pillaging. 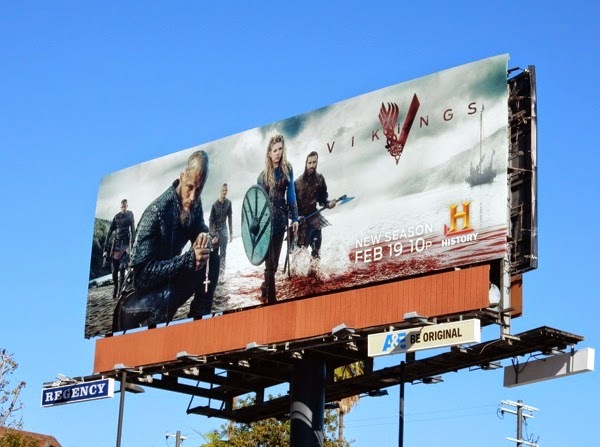 Expect more bloody battles for 'Ragnar Lothbrok' and his ferocious Viking brothers and sisters, and a new shaved head look for the fearless Nordic warrior too. 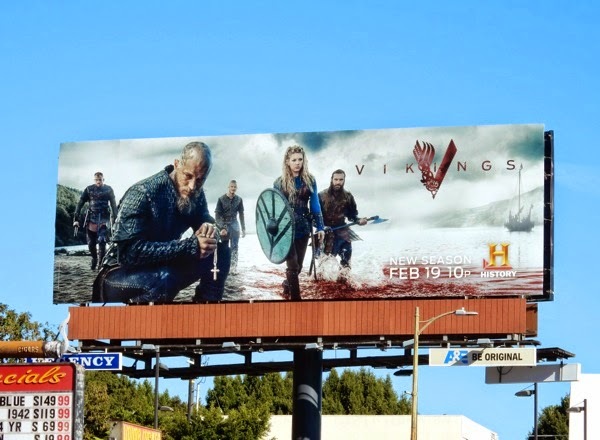 This season three billboard for Vikings, with blood in the water and more of the main cast than usual, was snapped along Sunset Boulevard in West Hollywood on January 17, 2015. 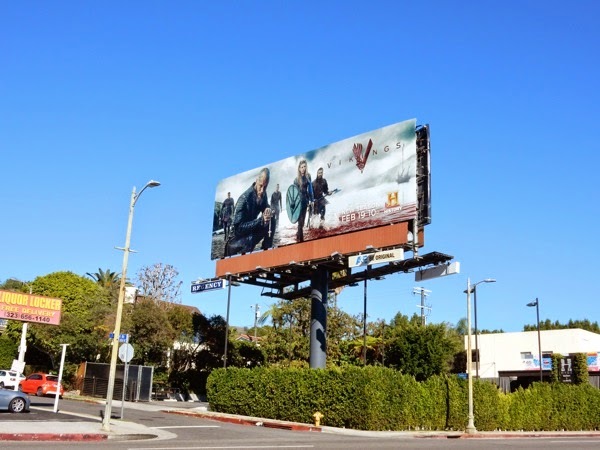 If you're a fan of the historical drama, be sure to also check out these Vikings season one billboards and Vikings season two billboards from previous years. 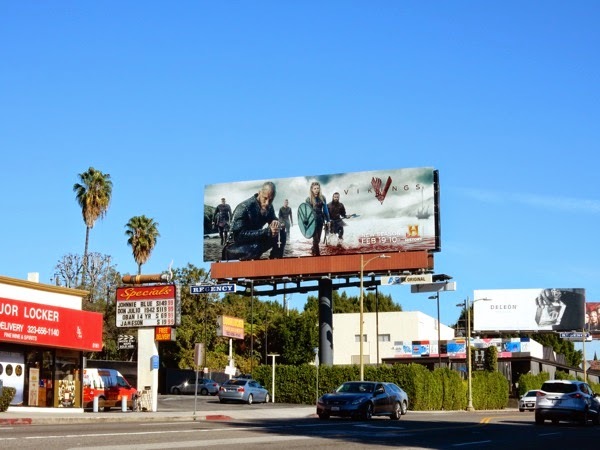 And remember, power is always dangerous, especially when you mix kings, ambition and religion.